4 ports (5V / 7.2A total) power maximum-speed charges to 2 Apple (2.1A max) and 2 Android (1.5A max) devices - simultaneously. Compact (3.6 x 2.5 x 1.0in), unibody design for use on the go. Heavy-duty plastic outer shell and premium circuitry ensure lifetime reliability. AC 110-220V input voltage ideal for international travel. 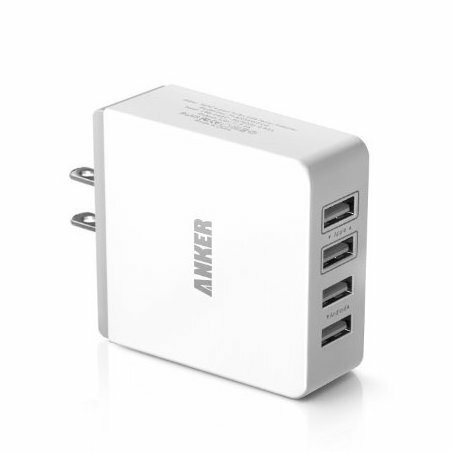 Package contents: Anker Quad-Port Wall Charger, user manual.